I knew it would only be a matter of time before I was forced to blog about Breaking Bad. Filmed at Albuquerque Studios, the Emmy-winning, universally revered television show is all any Burqueno (aka Albuquerque resident) has been able to talk about since the final eight episodes began airing six weeks ago. Now that the end is near, everyone here seems to be having a collective epiphany, followed by an intoxicating surge of pride, about how pivotal the show has been for Albuquerque – economically, of course, but also in other intangible ways that are harder to quantify but impossible to ignore. Even the show’s producers realize this, leading them to buy a bunch of billboards to thank Albuquerque for “the great chemistry.” I, for one, had a nearly choked-up reaction to this gesture. At first, they were finding these locations from the show on their own and recreating scenes by throwing pizza boxes on top of Walt’s house. Then The Candy Lady in Old Town began selling them the same blue candy she supplied for the show as a souvenir - soon followed by the Heisenberg hat. 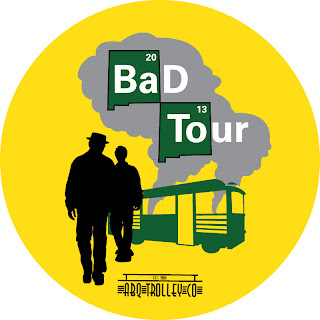 And the ABQ Trolley Company began offering its wildly popular Breaking Bad trolley tour. 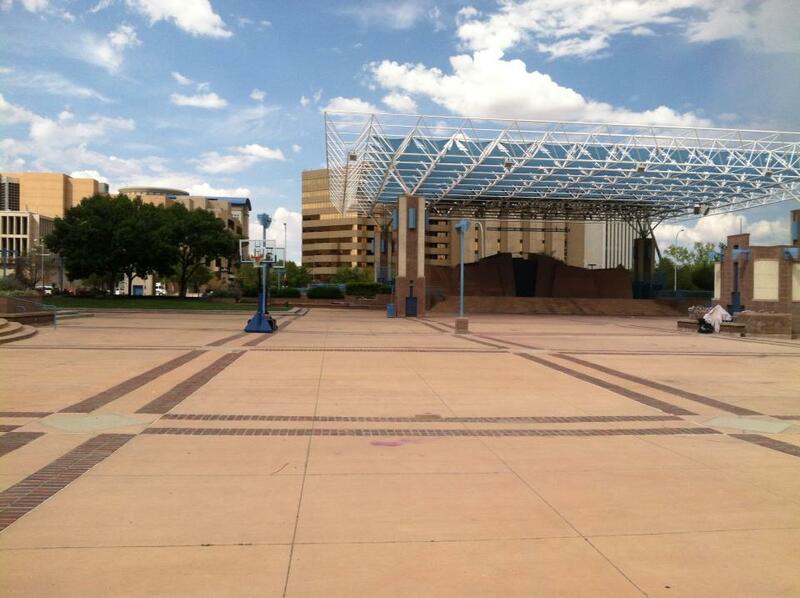 And the City of Albuquerque added a self-guided Breaking Bad tour on its tourism website. And Routes Rentals started its bicycling tour. And Rebel Donuts created its blue crackle donut. And Marble Brewery introduced its limited edition beers, Walt’s White Lie and Heisenberg’s Dark, and began hosting viewing parties every Sunday, while The Supper Truck started selling Los Pollos Hermanos-inspired chicken and wings. And Great Face & Body rolled out its blue crystal bath products and cooking classes for "Blue Sky" candy. And on and on and on. While the city may have been a tad slow to catch on and cash in, let’s just say the press has also seemed to jump on this phenomenon last-minute as well, with more Breaking Bad travel articles in the past two months than I could count. Among them: Los Angeles Times, The New Yorker, CNN and USA Today. Clearly, Breaking Bad fever is at dangerous levels everywhere. But for Burquenos, we’ve become hopelessly addicted to the notoriety, to the success of the show and to the global relevance it’s given us. At least for two more weeks. I recently gave in to the undertow by signing us up for Routes Rentals' three-hour Biking Bad tour, which included locations ranging from Walt and Jesse’s homes to Tuco’s headquarters to Hank’s DEA office. Led by guides who were gushing megafans themselves (no one can hide it at this point, as Talking Bad’s weekly celebrity “super fan” demonstrates), the tour took us to the locations of unforgettable past scenes (such as the barren lot where a child on a bike became a murderer), as well as very recent ones, including the plaza where Walt waited on a bench in vain for Jesse to arrive for a meet-up. That one was especially eerie, as the scene was still incredibly fresh, and I could just imagine Jesse walking away in a panic. The downtown plaza where Walt asked Jesse to meet him - only to have Jesse get spooked and walk away. The tour let me see my adopted city thorough the eyes of a giddy tourist and led me into unknown areas both quaint and sketchy. I then got my final gratification when the most recent episode – during the flashback – showed Walt pitching the idea of a day trip to the Turquoise Trail, Tinkertown and Madrid to Skyler. As an East Mountainer who lives close to all three, it’s exactly what I'd do with visiting friends, making me feel one with Walt in a way that was both exciting and disconcerting. Whether the Breaking Bad tourism juggernaut can be sustained, it’s hard to say. But there’s one big potential bright spot – the Breaking Bad spinoff Better Call Saul, starring Bob Odenkirk as the strip mall personal injury attorney* who reluctantly enabled Walt’s deepening criminal activity, was recently picked up by AMC. No word yet on where it will film, but I will spit out my Chai tea if it turns out to be anywhere other than Albuquerque. Local entertainment website One Headlight Ink even conducted a poll recently about whether the slimy yet shrewd Saul Goodman will be portrayed as a graduate of the University of New Mexico (UNM) law school, which has the unfortunate distinction of facing a severe drop in applications in recent years. But you gotta admit – it sounds just about right, doesn’t it? *Reportedly, the Saul Goodman character was based on Ron Bell, a real-life personal injury and DUI attorney in Albuquerque who has kitschy promotional billboards all over the city. What??? But have they seen Breaking Bad? I do not think the show is exposing the best of Albuquerque. i mean, those who go there must be going to find meth haha I mean, the show does not "show" Albuquerque as a tourist place, or appealing in that sense at all. I would accept that it put the city on the map, but I do not get why would Japanese people go to Albuquerque for vacations. It did happen something similar with Gossip Girl. There were some episodes in which the leading character went to Argentina. I know now that everybody wanted to get an apartment in buenos aires that week. They all wanted to know what the city of Tango looked like. But that makes more sense, because BA is famous worldwide for its tourist attractions. It would be crazy if Albuquerque becomes a hot tourist destination from now on!